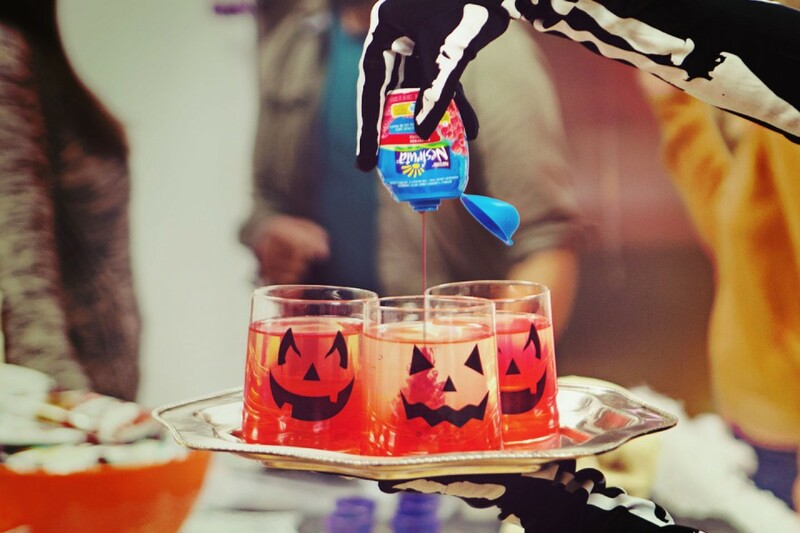 A killer cocktail for your Halloween party! Combine ingredients in a rocks glass. Top with sparkling water. Serve on ice.